Bridge Southeast Asia is a FinTech and Human Resources Technology company. 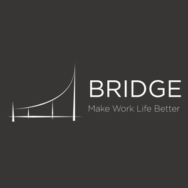 Through its People Solutions division, Bridge helps improve the productivity of workers by providing a range of HR services, including payroll processing, recruitment, and training. Layered on top of the HR services is an innovative FinTech platform, Bridge Access, that provides low-cost loans, affordable investment products, and flexible payment options. New Leaf Ventures invested in Bridge Southeast Asia through a recapitalization structure, while continuing to retain a significant ownership interest in the Company along with the existing management team. Bridge continues to grow in the Philippines and is preparing to expand to the rest of Southeast Asia. The Access platform now reaches over 50,000 people, improving the quality of their work and life. New Leaf Ventures continues to believe in the strong growth potential of the company and the importance of giving financial access to workers, remaining a significant shareholder in Bridge. Bridge is raising a Series A round for regional expansion.